By stacking TWO Top 20 recaps back to back —the songs with the most Radio Airplay and the songs that are trending across new media — affiliates and listeners get their favorite songs on the air more often (just like REAL rotations). Join Tim Leary 8-11 AM every Saturday for this trend-setting countdown show! American Country Countdown Rewind with Bob Kingsley brings Country fans closer to the iconic artists of the last 25 years. 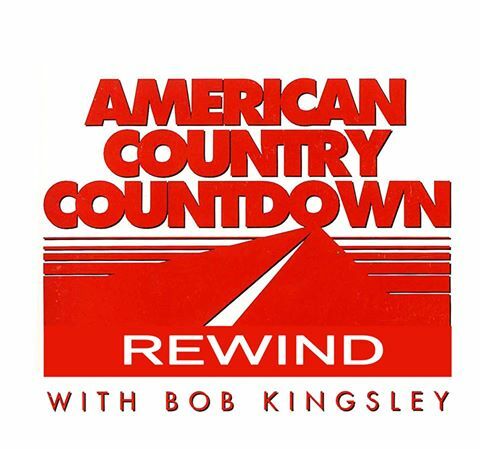 American Country Countdown Rewind with Bob Kingsley brings back American Country Countdown shows of the past and the most iconic moments of Country music… all hosted by the most listened-to voice in Country music history, Bob Kingsley every Saturday afternoon at 2 PM on 101.7 WGOG. Hear last weekend’s ACC Rewind. Country Gold, hosted by Terri Clark, is a music-intensive, fan-interactive program featuring special guest artists, country classics, and listener requests, airing on more than 100 radio stations coast to coast. Make Country Gold your Saturday night (5-9PM) soundtrack on 101.7 WGOG!